Wild Mignonette is widespread and fairly common throughout Britain and Ireland, but not in the far north or in Scotland. It is also found throughout northern and central European countries. This plant is often confused with Weld (Reseda luteola) and grows in the same places. 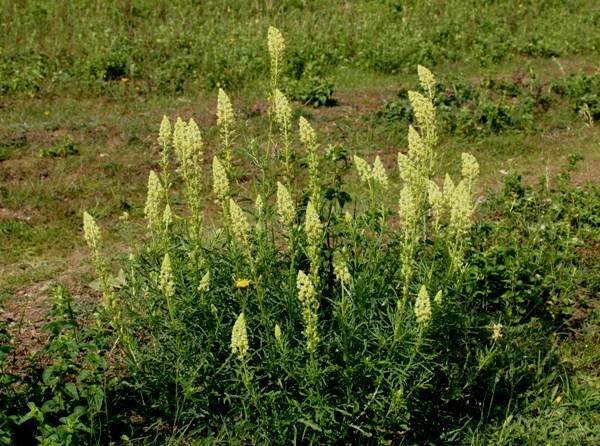 Wild Mignonette, however, is a shorter plant with broader flower spikes which are paler than those of Weld. The culivated species of Mignonette grown in gardens has a much stronger scent than Wild Mignonette. The specimen shown here was photographed in Wales in July.